UCF Libraries, in collaboration with the Department of History and Department of Political Science, is requesting $194,381 for the one-time combined purchase of ProQuest Executive Branch Documents, ProQuest U.S. Serial Set Digital Collection, and ProQuest Congressional. The initial quoted price for the combined purchase based on UCF’s FTE would be $414,145. After a careful negotiation, ProQuest agreed to offer a substantial discount. The $217,264 savings make this combined purchase an excellent deal. These 3 collections each offer unique primary sources to students in programs including history, political science, sociology, international affairs and communication. In addition, the collections provide historical information and perspectives to students who are researching in military science, public health, transportation, environmental science and engineering. UCF owns some of the content with earlier coverage. This combined purchase will extend the coverage and bring the content together onto a seamless platform with cross-searching of the three collections that enhances the usability and therefore facilitates student learning. ProQuest Executive Branch Documents is an essential resource for doing research on the Americas from 1789-1939. This new collection boasts a wide array of documents produced by the federal government from our nation’s founding through the early 20th century which were never included in the U.S. Serial Set, thus providing the perfect complement to that collection. In addition to offering a record of federal department and agency activities, the collection provides insight into virtually all facets of society—providing historical context for serious researchers across all academic disciplines including history and political science, social sciences, physical sciences, engineering, business and more. Considered one of the most important resources for the study of American history, politics and society, the U.S. Serial Set gives you the thinking behind events to add context to your research. This collection of government publications captures key aspects of American life – from agriculture, to westward expansion, scientific exploration, politics, international relations, business and manufacturing. The ProQuest Congressional content provides indexing and abstracting access to the Serial Set documents from 2004 through 2018, with links to the full text publications. Additional full text content beyond the Serial Set volumes includes the Federal Register, Congressional Record, and hearing transcripts. ProQuest will allow fair use of the content for educational purposes, including embedding links into WebCourses and Canvas. Access would be available to all UCF students and employees, with off campus access enabled by Shibboleth authentication. Maintenance of this collection requires a small annual platform fee that is typical for digital collections of this quality. UCF Libraries will fund this annual fee from existing funds. All content and functionality associated with these three collections will be hosted by ProQuest, so there will be no new demands on UCF staff or infrastructure. These three collections have the potential to benefit the entire UCF community. Content can be accessed by an unlimited number of simultaneous users (24×7), and there is no limit to the number of downloads. UCF will have perpetual ownership of the Executive Branch Documents and U.S. Congressional Serial Set collections and therefore meet the instructional and research needs of the UCF community well into the future. The content will directly benefit students enrolled in eleven of the General Education Program/Common Program Courses. The Fall 2015 enrollment for these eleven courses is approximately 8,000 students. Beyond the General Education Program courses, the students in most undergraduate and graduate courses in History and Political Science will make use of these collections. The 2014-2015 FTE course enrollment for History and Political Science was 1,660 students; the assumption in this proposal is that each of these students will average at least one course each semester making use of these collections. Other disciplines where some specific courses will benefit from these materials include Anthropology, Sociology, Education, Economics, Criminal Justice, Legal Studies, and Interdisciplinary Studies with a total 2014-2015 FTE student enrollment for these seven programs of 6,943. The assumption in this proposal is that each of these students will average at least one course making use of these collections over the span of 8 semesters. Groups of People, Professions, etc. Executive Branch Documents, U.S. Congressional Serial Set, and ProQuest Congressional will greatly benefit UCF students and faculty, and each collection is designed to support teaching and research. The following comments were provided by UCF faculty. These comments speak to how these three collections will benefit student learning and research. Locating and using primary sources are important research skills that we strive to develop in our students. Having ready access to these resources through our library is key to building our reputation as a research university and helps us attract students and faculty whose research interests are in these areas. As a professor in the Political Science Department, I heartily endorse the UCF Libraries’ proposal to purchase these primary source materials from ProQuest. Being able to quickly and easily search multiple collections of government documents from 1789 to the present with a single search will be incredibly useful to undergraduate and graduate students as well as faculty. The Executive Branch Documents and the U.S. Congressional Serial Set together provide a tremendous wealth of vital primary source publications for a broad range of topics covering the United States and the rest of the world. Some of our specific courses that will benefit from these collections include American National Government, The American Presidency, Congress and the Legislative Process, Political Parties and Processes, Presidential Campaigning, American Constitutional Law, American Political Thought, International Relations, Diplomacy, The Cold War, Immigration Policy, American Foreign Policy, American Security Policy, The Vietnam War, and International Politics of Latin America. 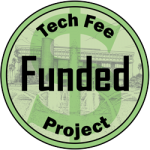 I am writing today in strong support of the John C. Hitt Library’s request for a tech fee grant to purchase access to several document series from ProQuest. I teach undergraduate courses in the history of science, technology and medicine and a graduate course in the history of technology. Access to these primary sources will enhance the work my students at both the undergraduate and graduate levels will be able to do. These databases (Executive Branch Documents, 1789-1939; U.S. Serial Set, 1789-2003, and Congressional Base Collection, 1970-Present) include materials that address scientific, technical, engineering, and health policies in the United States. As is so often the case in the history that my students and I explore, politics and economics play major roles in the scientific and technical decisions that we make as a society. These documents can open up for our students a greater understanding of how those factors intermingle, which is important for students in the history department, but for students in the sciences, engineering, and the health professions as well. Having access to these collections and others like them will only strengthen the preparedness of UCF students as they graduate and represent our university in their professional lives. As a professor in the History Department, I enthusiastically endorse the UCF Libraries’ proposal to purchase primary source material from ProQuest. This material will be incredibly useful to both undergraduate and graduate students in history; specifically, in my United States military history courses and my historical methods course–History and Historians. The ability to study primary sources related to these issues is absolutely essential to students in my classes. In this case, these documents would allow my students to examine the role of the executive branch and the congressional branch in military affairs. Specifically, cross-searching of the Executive Branch Documents with the U.S. Congressional Serial Set will make it much easier for students to examine both branches role in setting military policy. In fact, all classes looking at United States culture, politics, economics, communication, education, infrastructure, armed forces, social issues, science and technology would find these collections invaluable. The coverage goes well beyond U.S. history to encompass events and cultures throughout the world; there is something to offer students in just about every major at UCF. The primary sources from these collections will do a great deal to help UCF students compete with students at other institutions who have a greater access to historical primary sources. As we increasingly emphasize the research nature of our university, having access to collections like these will be imperative. I am writing to enthusiastically support the UCF Libraries’ proposal to purchase primary source material from ProQuest. As a professor in the History Department, I believe this material will be very useful to both undergraduate and graduate students in History. One of my objectives in every class I teach, whether at the GEP survey level, in upper-level undergraduate courses, or at the graduate level, is to have students analyze first-hand, historical evidence. Government documents provide useful primary source material for such a wide variety of history classes that they will be excellent resources for almost every class the department offers! Furthermore, the cross-searching of the Executive Branch Documents with the U.S. Congressional Serial Set will make it much easier for students to discover government publications for a broad range of topics. Classes looking at United States culture, politics, economics, communication, education, infrastructure, armed forces, social issues, science and technology will all benefit from these collections. The coverage goes well beyond U.S. history to encompass events and cultures throughout the world. This means that my colleagues teaching courses on African, Asian, European and Latin American history can use them as well. And they contain material for students in many other majors across the university. The primary sources from these collections will provide wonderful opportunities to help UCF students compete with students at other institutions who have a greater access to first-hand historical evidence. As we increasingly emphasize the research nature of our university, having access to collections like these will be imperative. I am happy to endorse the library’s application to purchase this material. Please feel free to contact me if I can help in any other way. The UCF Libraries will measure the success of these three ProQuest collections through usage reports and satisfaction surveys. COUNTER reports (an industry standard format for online usage statistics) will track which titles are used and the number downloaded. Selected faculty and students will be asked for comments on these products. It is expected that usage will increase by 10% to 20% per year in the first three years. It is expected that students and faculty will find the content highly useful. The UCF Libraries will provide training on the use of the content through a host of outreach opportunities to both students and faculty. Bibliographic instruction sessions, face-to-face reference sessions, and LibGuides will all be used to promote the collections and provide needed instruction. The requested funds will cover the entire cost to purchase perpetual access to ProQuest Executive Branch Documents and ProQuest U.S. Congressional Serial Set. The decision to extend access to the ProQuest Congressional material will be examined in three years based on usage of the content. The Libraries will catalog the content, maintain links, and support access. Any recurring costs for maintenance of the collection will be paid for using library funds. Content is hosted by ProQuest and there is no impact on staff resources. The requested $194,381 in technology fee funding combined with the $2,500 UCF Libraries cost share will cover the entire purchase of ProQuest Executive Branch Documents, ProQuest U.S. Congressional Serial Set, and ProQuest Congressional. There are no additional charges for the initial purchase. The UCF Libraries will cover the annual platform fee that is common for large digital collections of this quality. All content and functionality associated with these ProQuest collections will be hosted by ProQuest, so there will be no new demands on UCF staff or infrastructure. The initial cost per student simultaneously served is $18.70 ($196,881 / 10,528 = $18.70). However, this price per student is misleading because there is no limit to the number of times students and faculty will access the products over time and UCF will have perpetual rights to the content. The cost per use could be much lower. The initial quoted price for UCF based on FTE and other factors was $414,145 for the three collections, but after careful negotiations and the opportunity to compete in the Technology Fee process, ProQuest has agreed to a substantial discount. The savings of $217,264 make this an exceptional offer.